Enhance your yoga strength and knowledge. 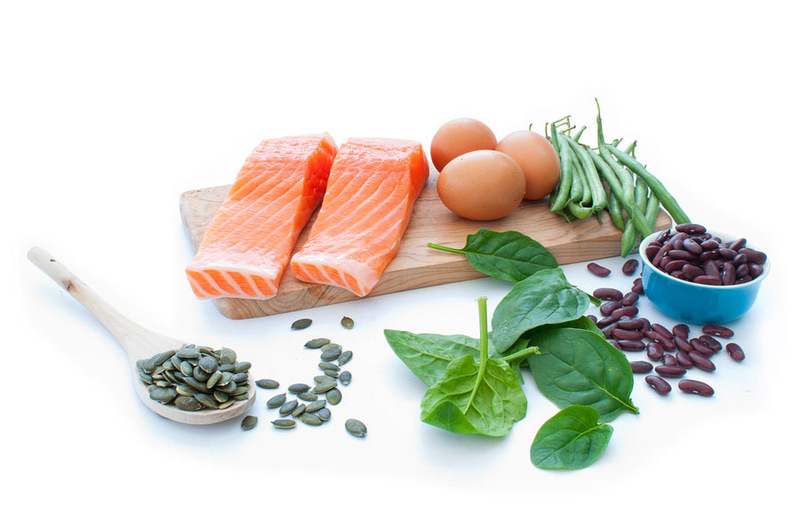 Food for Thought – How much protein should we eat? Would you like to be stronger? Would you like to have a healthier immune system? Would you like to have more balanced hormones, recover from injuries faster and digest your food better? Who wouldn’t right? All of these things listed can be influenced by the amount of protein in our diets. If we get enough protein, then our body can do all of these amazing things. If we don’t get enough protein then we are going to have problems with some if not all of these things. 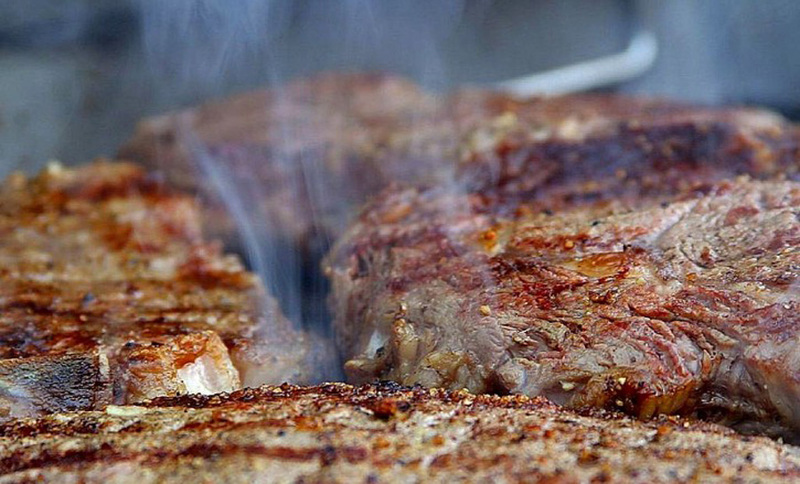 The question remains though – just how much protein should we be eating? Currently the RDA for protein recommends .8 grams of protein for each kilogram of your body weight (.36 g/pound). So if you are a 196 pound man that would be about 71 grams per day and if you are a 166 pound woman that would be about 60 grams per day. However, this is the minimum amount of protein we need to prevent the loss of muscle. If you exercise, if you are recovering from illness or injury or if you are elderly, the amounts you need per day is much greater than this – from 20% to 50% greater based on some studies. 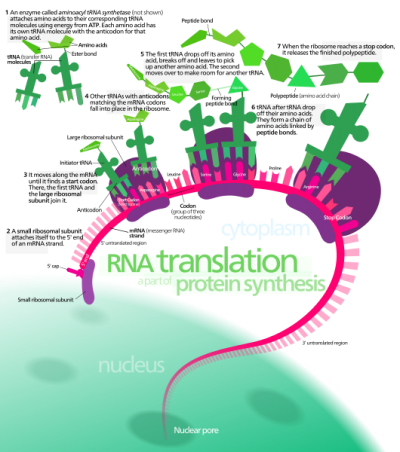 Protein synthesis is the creation of protein by our cells for various uses. When we consume protein in sufficient amounts our body will be stimulated to build protein. Interestingly enough as we age, it takes more protein in a meal to stimulate protein synthesis than it does when we are younger. When we are young, ingesting even a small amount of protein will cause our body to want to build its own protein. When we are older, small amounts of protein do not stimulate protein synthesis as much. However, if we take in a sufficient amount of protein in a meal, we will stimulate as much protein synthesis as we did when we were younger. To better illustrate how our body uses protein, let’s look at how we might consume a days worth of protein. Let’s use an example where the amount of protein for the day is 90 grams. In order for things to be even let’s say the people in our study are a set of 50 year old identical triplets. They are the same height and weight, have the same activity level, and they do the same thing for a living. Scenario 1: This triplet, we will call him Harry, will eat a breakfast with 10 grams of protein, a lunch with 30 grams of protein and a dinner with 50 grams of protein. A total of 3 meals equaling 90 grams of protein. Scenario 2: This triplet, we will call him Larry, will eat a breakfast with 30 grams of protein, a lunch with 30 grams of protein and a dinner with 30 grams of protein. A total of 3 meals equaling 90 grams of protein. Scenario 3: This triplet, we will call him Fernando (hey, he’s named after his mother’s favorite uncle), will eat a breakfast with 15 grams of protein then 3 hours later he will eat a second breakfast with 15 grams of protein. At lunch he will eat 15 grams of protein and then 3 hours later a second lunch with 15 grams of protein. For dinner he will have 15 grams of protein and then 3 hours later a second dinner with 15 grams of protein. A total of 6 meals equaling 90 grams of protein. So, since Harry, Larry and Fernando all had 90 grams of protein they should all end up with the same amount of protein synthesis right? Not so. Studies have shown that the best amount of protein for a meal is about 30 grams of protein. If we eat more than this we are likely to not be able to digest and absorb all of the protein. If we eat less than this then our body is not likely to be stimulated into as much protein synthesis. The difference in studies show that simply eating 30 grams of protein per meal (scenario 2) will increase our protein synthesis as much as 25% greater than eating like scenario 1 or 3. Here is a great video by Douglas Paddon-Jones of UTMB Galveston explaining this further. 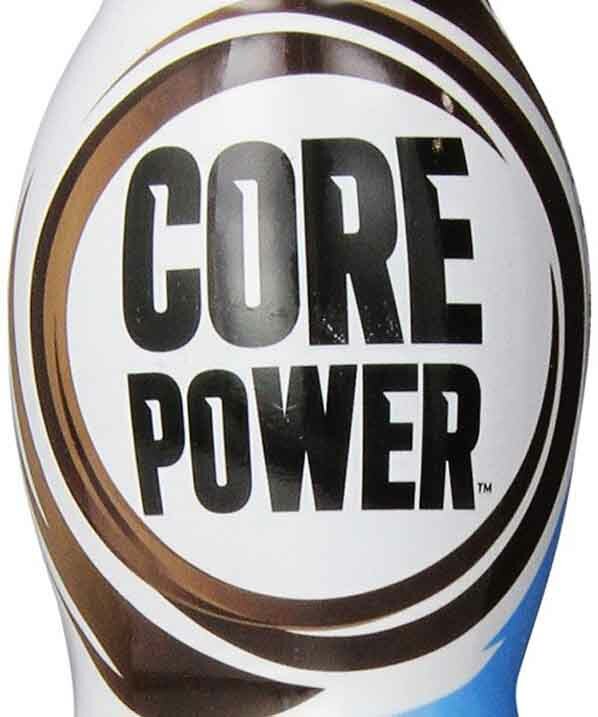 Now high quality protein from whole natural foods is best, but if you are finding it hard to consume enough protein in a meal, one way to increase your protein easily is to add a protein powder drink to that meal. Here is my review of various protein powders and also redi-mixed protein drinks to take on the go with you. It may take you a little effort to change the way you eat to 30 grams of protein in a meal, but the benefits far outweigh the bother. If you would like some help creating a balance meal plan let’s schedule a nutrition coaching session. 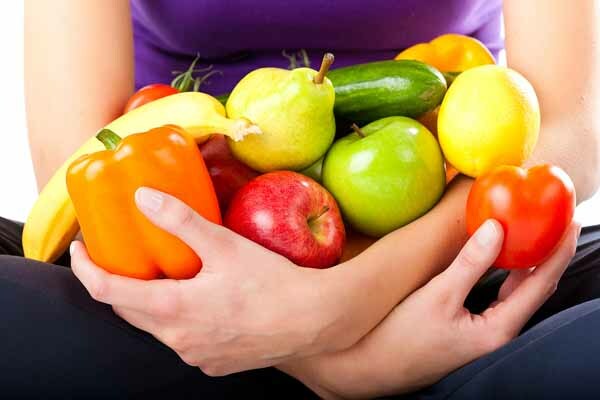 Ask the Yogi: Do I need to become a vegetarian? 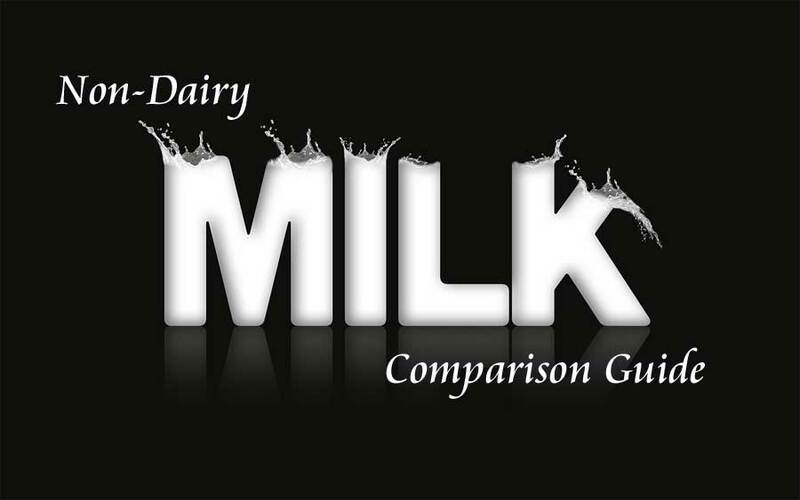 Ask the Yogi: What is the best Non-Dairy milk? Check out my designs on T-shirts, leggings, bags, mugs and more. Copyright © 2019 Jbyrd Yoga Journal. All rights reserved.